Beaches and bodies in Buenaventura: One of the Colombia’s most violent cities wants to become the world’s next great tourism resort. Can a city known for bloody gang wars become a tourist mecca? The view from the top floor of the Hotel Cordillera, in the center of downtown Buenaventura, shows a mix of old houses, recent developments, and a hotel under construction. 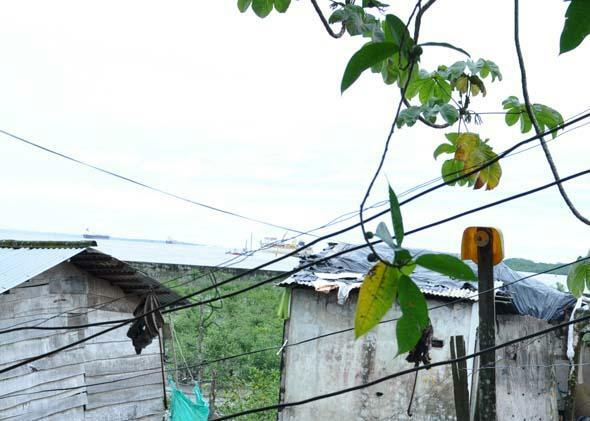 Zuluaga’s ambitious presentation obscures a darker reality about Colombia’s principal port city: The ships and stilts out the window hover over a watery graveyard, a dumping ground for those who have fallen prey to ongoing violence. A horrific war between rival gangs has turned this impoverished city of 400,000 people on Colombia’s Pacific coast into the country’s most violent city, featuring “chop-up houses”—where people are reportedly dismembered alive—and one of the highest murder rates in the world. Colombia’s military is arriving in large numbers to restore order in the city, whose coastal position also makes it a major drug trafficking hub. Meanwhile, locals are battling to transform their city’s reputation, arguing that Buenaventura is the best-kept tourism secret in Colombia. They hope the city’s natural beauty—pristine beaches, dozens of intersecting rivers, rich biodiversity—can overshadow its reputation for unspeakable violence. 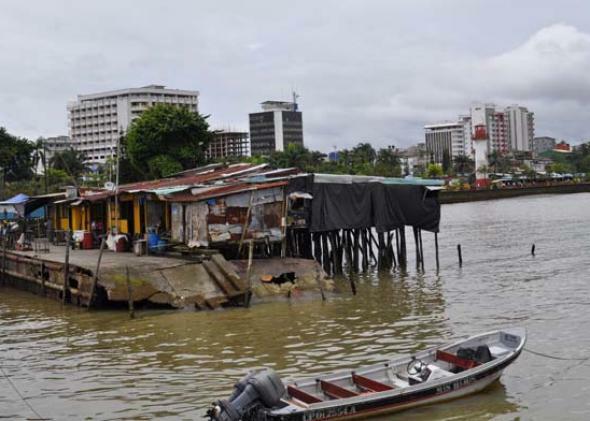 “In two years we will have changed the image of Buenaventura,” Zuluaga says. Since the launch of his tourism association—a two-year-old consortium of 120 business owners and arts and culture representatives—the national government has invested in Buenaventura’s beautification and infrastructure development. President Juan Manuel Santos visited this month and announced construction of a multimillion-dollar waterfront park and walkway, and the city is currently converting a downtown street into a pedestrian path. Zuluaga’s association is working with boat operators to create more structured tours down the river to various beaches near the city, and is planning a new tourism route through five of the safer downtown neighborhoods. In recent years, as Colombia emerged from its decades-long guerrilla war, the economy has boomed and tourism has flourished. But in Buenaventura, feuding gangs—the Urabeños and the Empresa, both successors to the paramilitary groups that were formed to fight the leftist FARC guerrillas—routinely terrorize local populations, threaten local journalists for reporting crimes, and sometimes kill young children. Adding to the madness, Colombian guerrilla fighters last month targeted the city with a bombing that cut off electricity for days. Police have done little to improve the situation, according to a recent report by Human Rights Watch, which found that police avoided patrolling high-crime neighborhoods and have been seen holding meetings with gang members. Efren Vente, director of the city tourist office, notes that tourism could offer crucial jobs in a city with about 40 percent unemployment, and where jobless youth are easy recruits for gangs. “Tourism is the prime option for the development of economic opportunity here,” Vente says, noting that even though Buenaventura moves about 60 percent of Colombia’s imports and exports, the money never reaches residents. “We’re living in a gold mine, but we’re poor. 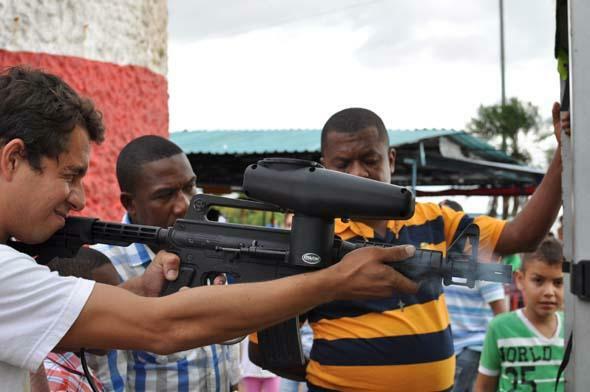 … Young people have to realize that tourism is an option for their careers.” He points to nearby San Cipriano, where tourism has thrived and violence has subsided, as an example of what Buenaventura could become. 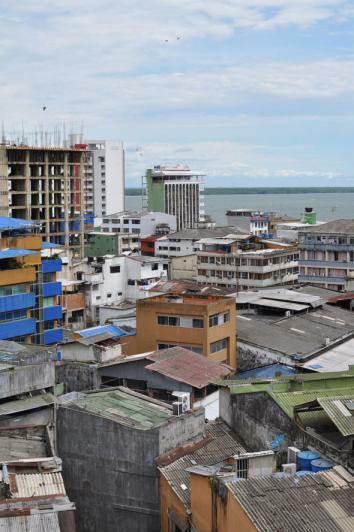 Currently, Buenaventura has virtually no tourists, but Zuluaga estimates that it has 120 hotels, whose guests usually work for companies importing or exporting goods. Hotel Cordillera, where Zuluaga serves as director, now counts police and national security as guests. But the new five-star Hotel Cosmos, heralded by Colombia’s El Espectador newspaper as a major tourism investment, was largely empty during my visit. Buenaventura’s surrounding beaches attract about 290,000 tourists annually. But that rate dropped by about 10 percent this year as news of the brutal violence became widely known, Vente says. Even business travelers have started to avoid Buenaventura whenever possible. Vente says the violence is confined to certain areas of the city, and the “tourist walk”—an approximately 20-block radius whose brick waterfront path features bright food and liquor tents blaring reggaeton, and uniformed soldiers slurping ice cream standing next to men getting outdoor shaves—remains unaffected. 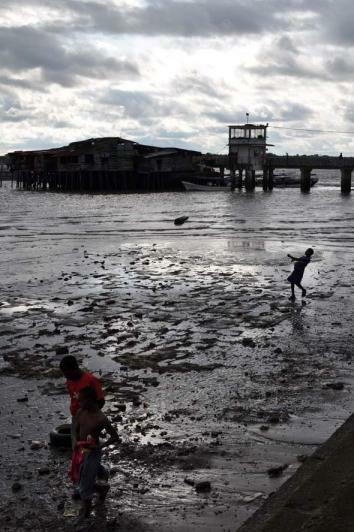 Children play in the sand during low tide by Buenaventura’s main waterfront path. Other locals agree that Buenaventura has plenty of safe areas and they say the violence does not impact their daily lives. Jewelry-maker Gilberto Varon, who organizes a waterfront artisanal market, says people are safe as long as they don’t involve themselves with the rival gangs. Upscale restaurant owner Roul Monand says the conflict is just a part of life here, and it doesn’t overshadow the city’s vibrancy. “It’s like waking up and your wife has bad breath, you know you’re not going to leave her. You’re committed,” Monand says. But cross the wrong bridge, or turn the wrong corner, and the friendly city turns menacing, with neighborhoods even locals won’t visit. One evening I meet a group of local journalists dancing salsa at a discotheque downtown, and the tight-knit group quickly welcomes me into their circle, commending me for wanting to focus on the city’s tourism potential instead of its violence. The 1 a.m. walk back to Hotel Cordillera several blocks away feels relatively safe, with cops on the street and convenience stores still open. But the next morning, one of the journalists tells me there was a drive-by shooting just eight blocks away, in an enclave known for its high incidence of violence. The current pier and boat launch. Garcia doesn’t see the answer in tourism—but she agrees with Vente that travelers have never been targets in the city’s conflict. “The tourist has always been well-treated. You can come here and find incredible beaches and welcoming people,” she says. The one foreign tourist I meet in Buenaventura—Marla Benoit, an American woman who caught a ride with me and my Colombian friend from Cali, a metropolis three hours west—finds herself captivated by the city. Benoit came to the city to go whale watching, but was also curious about the territory seemingly off-limits to the backpacker circuit. She felt safe walking around alone, and in the evening she watched the sunset over the waterfront and had a cocktail in a tropical outdoor bar, overlooking the stilted shacks in the sand. But most travelers who venture to the coast for whale watching or to visit the nearby beaches head to Buenaventura’s boat launch without stopping. “We heard it was too dangerous,” Antoine Sallier, a French traveler, tells me after going directly to the beach at Juanchaco, skipping Buenaventura.